After me logging the other night because of the asshats in my alliance guild, I logged onto my warrior and one of our guildies was going to be heading into Sunwell. So I got an invite to tag along. Even my hubby decided to come with us. We never did Sunwell when it was current, we did one or two nights farming the trash – but we found that too hard for us. 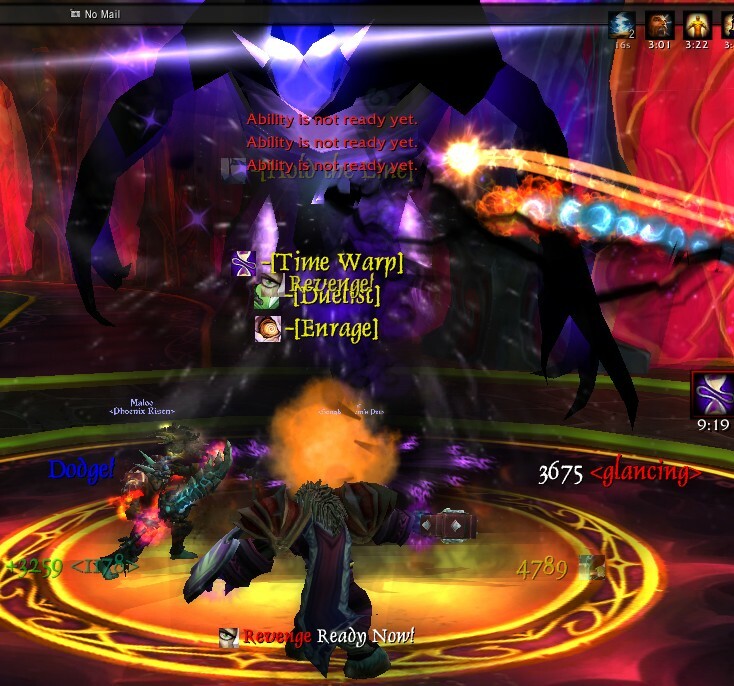 We started raiding late, and had we stuck with it back then we could have probably gotten to Sunwell eventually. Anyway since then, I have done a whole bunch of pugs which never get passed the first boss and if I have joined after that boss, we never get passed Frosty. The first boss was hard even now as it required communication about % of health. We wiped the first time 🙁 But then got it on the second. We then smacked Brute and had a few attempts on Frosty. Can I just say – what a pain in the arse that fight is/was!?!?!? Song was telling us to look for him when he was up to see where the breath was, and I must confess I couldn’t even see the tard because I was chasing mobs. It was horrific. Mind you given it was my second time seeing that actual fight, I am not surprised I was clueless. In the end we just had to burn through before the air phase – which we did. It would have been tough when it was current content. Muru was fantastic! He was like a dark purple nurple adal – i loved it 🙂 From what I could tell of the fight, it would have been an interesting one in its day. Then he turned into a massive void shadow thing and I was just enjoying myself so much 🙂 I had no idea what the hell was going on! 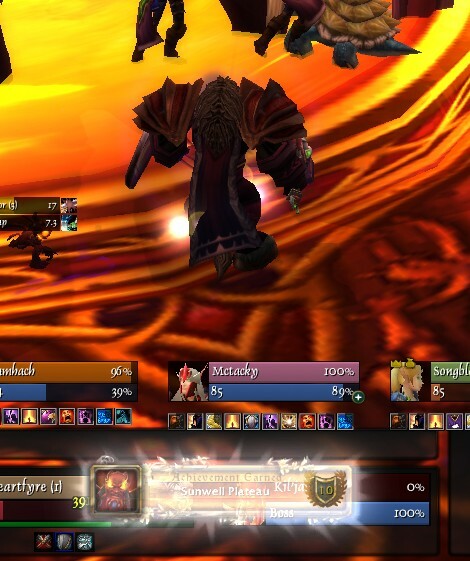 I was pretty ecstatic to have done this – I never thought I would ever see Sunwell. 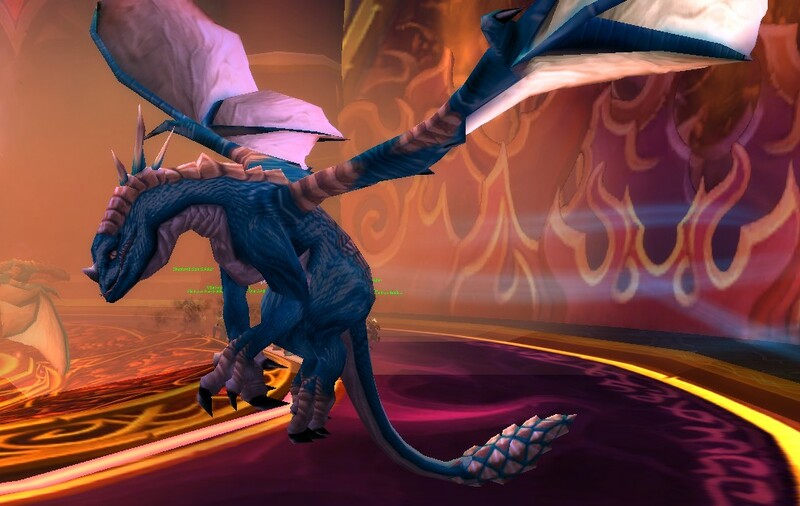 I need to do it on my mage for the BC achievement – it’s the only one I am missing I think. This would have been spectacular in its day, along with all the raids of the BC era which had style! I am jealous at all the people who did get to see this content when it was current. It was a fantastic end to what a horrific start of my raid night. I’m glad you enjoyed the run! I had fun too! I do enjoy going through old content 🙂 I appreciate the artwork and bosses that people in Blizzard can come up with! It is also fun to just run around with mates and have a laugh at things. I miss that most about my wow time. I think I got 3 tier pieces? Sunwell’s crazy awesome. 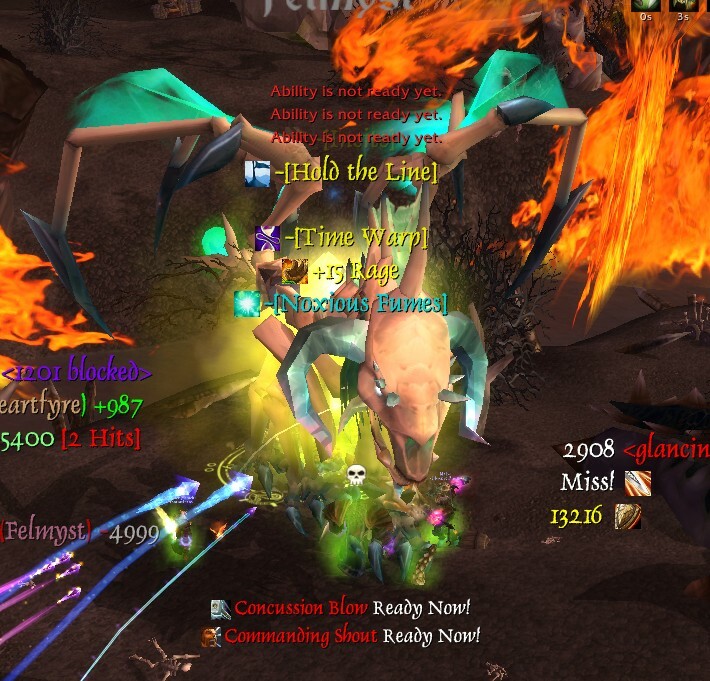 Done it a couple of times in the past month with guildies – first time there we realised that if we had 6 players we could just hard-burn through everything, and since then once a week to take a chance on getting the legendary. 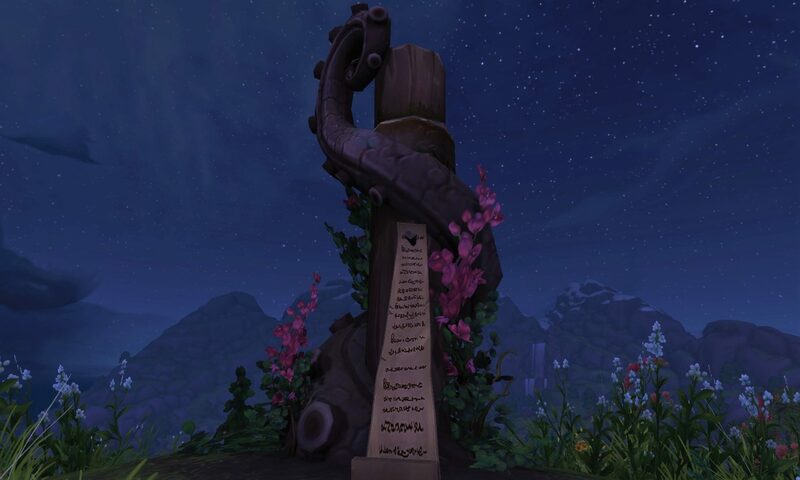 Good luck on the legendary – that’s what my guildie was hoping for as well 😀 I may have to tag along again if I get online in time.